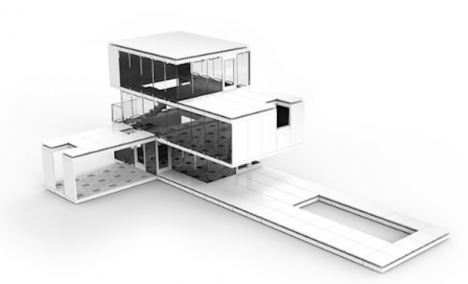 A kit that combines the precision and detail of computer modeling with the physicality of Legos makes it possible to design and build any architectural structures you can dream up. 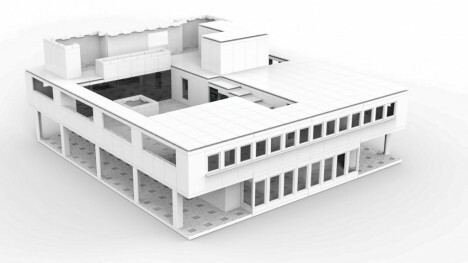 With minimalist greyscale components that are significantly more refined than those found within actual Lego modern architecture sets, Arckit by Damien Murtagh can be used as a professional tool for architects or a fun toy for architecture hobbyists and enthusiasts. Traditional model-making typically requires a lot of measuring, cutting and glueing, and once you set a piece in place, you’re stuck with it. Arckit’s snap-together system made of ABS plastic allows continuous modifications so you can really experiment. It’s a lot cheaper than purchasing 3D modeling software, without the steep learning curve. While it was initially designed for adult use only, it turns out that kids love it, too. 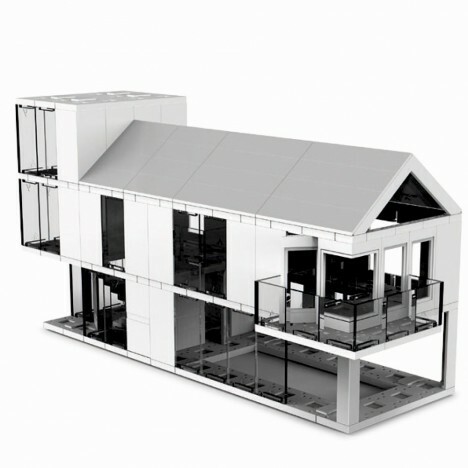 The modular system is at 1:48 scale and comes in three packages for structures measuring 60, 120 or 240 square meters. The 120-square-meter set has proved the most popular, offering over 385 pieces, a component tray, and a booklet explaining how to put it all together. 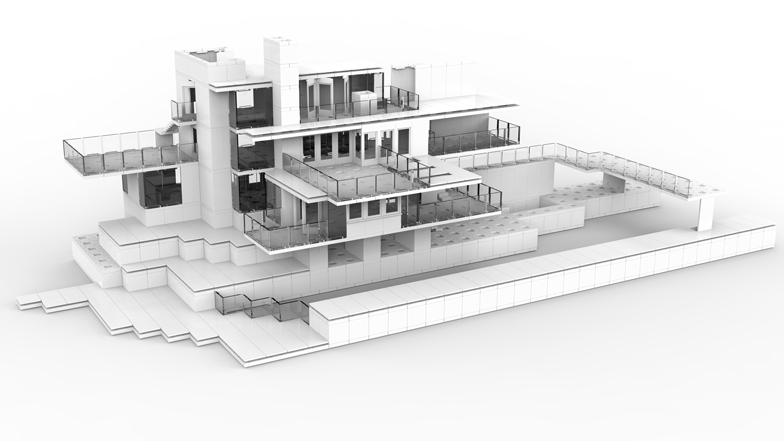 Add-on components are also available, with extras including trusses, floating staircases and printable adhesive sheets so you can customize colors, textures and other imagery however you like.